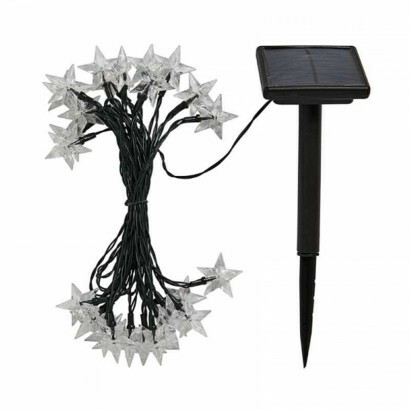 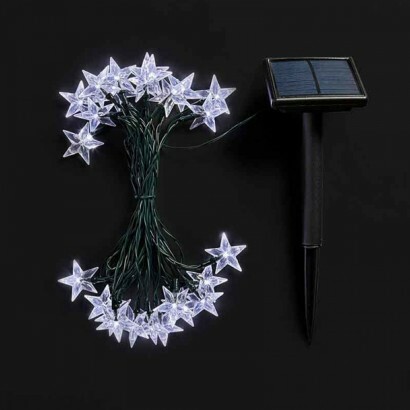 With constant light and flashing functions, these solar powered star lights add a magical twinkle to your garden shining with bright white light. 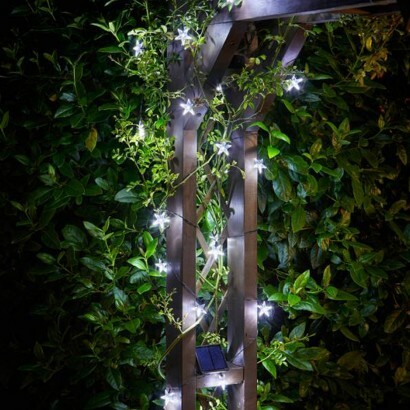 Decorate your outdoor space with 25 sparkling stars to add enchantment night after night for a beautiful, relaxing atmosphere. 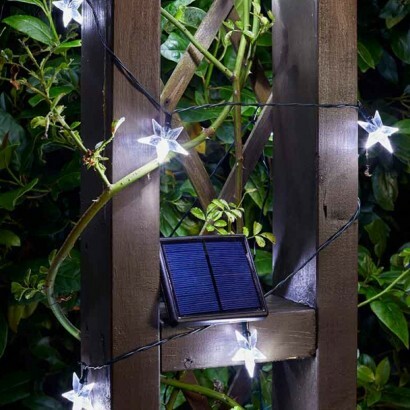 Solar powered, there's just over 2m of lead from the solar panel to the first light to give flexibility for easy placement and there's 4.7m of magical illumination.